Transformers The Last Knight Big Game Spot Trailer! Its Autobot Vs Autobot in the new Super Bowl spot that has been released for the hotly anticipated Transformers: The Last Knight! The Last Knight shatters the core myths of the Transformers franchise, and redefines what it means to be a hero. Humans and Transformers are at war, Optimus Prime is gone. The key to saving our future lies buried in the secrets of the past, in the hidden history of Transformers on Earth. Saving our world falls upon the shoulders of an unlikely alliance: Cade Yeager (Mark Wahlberg); Bumblebee; an English Lord (Sir Anthony Hopkins), and an Oxford Professor (Laura Haddock). Directed by Michael Bay and staring Mark Wahlberg, Josh Duhamel, Anthony Hopkins, Laura Haddock, Isabella Moner, Stanley Tucci, John Turturro. Oh man. I remember watching number 4 with Wahlberg and thinking ‘it is almost done, right?’ only to look at the timer and realize that there was still another 75minutes to go. LOL know what you mean! I do like the Transformer movies though, despite the threadbare plots, the action is always loud, brash, and titanic! Just how I like my Transformers. I agree, Walberg’s character is way better than Labouf’s. I can’t say that I’m all that excited about the Last Knight after finding Age of Extinction an overlong mess of destruction. Bay’s first Transformers was rather good but the sequels have all been pretty disappointing. Still I’m a fan of the 80s Transformers animated series and movie and enjoy the comic books so I hope to be proven wrong! I agree, Bay’s Transformer films have been a bit mixed, I liked the first one but the sequels haven’t been nowhere as good. I love the 80’s Transformers animated series and the comic books as well. 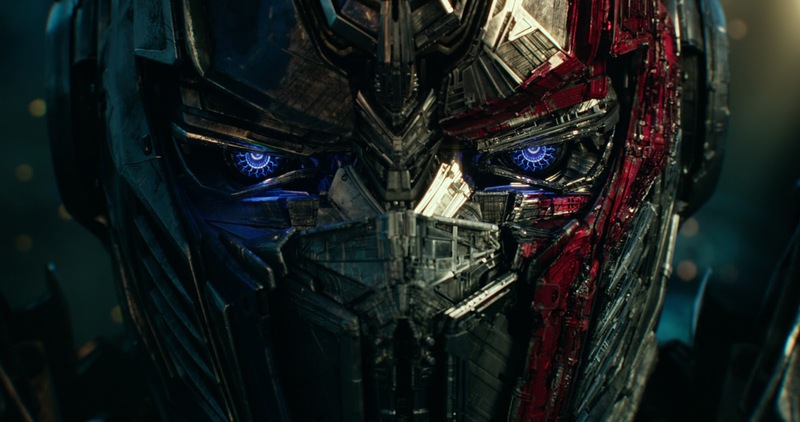 I’ll probably go see Transformers The Last Knight, but I won’t be expecting too much from it – hopefully it will be an improvement on Age of Extinction. The trailer looks pretty great to be honest. I’m just hesitant because I was never a big fan of the previous ones. Still, it’ll deliver in the action department as always and I will certainly be seeing it in theaters. I’m rooting for Prime to beat Bumblebee, even if he’s on the wrong side this time. I expect Prime will defeat Bumblebee, although you never know… I think this will be a better Transformer film than the last one, but either why, they are always usually entertaining and spectacular. I’ve still only seen the first Michael Bay Transformers movie. From what I’ve heard though, the last half-hour or so of the last movie would make for a great half hour TV episode. It just took too long to get there. Yeah, I liked the original Michael Bay Transformers movie. That last one was a bit hit and miss. I do enjoy the Transformers films though, they are exciting and full of action.